Boots should protect your feet. Steel toe are best for this purpose. It should be water-proof, flexible and they must be exactly the right size. They should also be able to protect you against cold weather and punctures. The soles of your boots must provide good traction to prevent you from slipping and sliding down slopes. 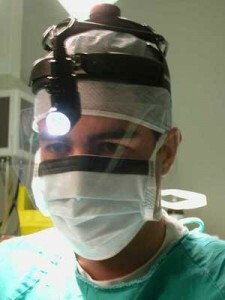 A face masks is worn as a barrier to protect the patient against the transfer of harmful microorganisms present in the healthcare professional?s saliva, nasal discharge and facial hair, and to protect the healthcare professional from being infected by microorganisms present in puss, blood, other body fluids, secretions (e.g. saliva) or excretions (e.g. feces) by the patient. Sterile gloves are always used in any sterile field/area while surgical clean gloves may be used for more routine medical and surgical tasks – purely as a barrier against microorganisms, contaminants and chemicals while performing tasks in a medical or healthcare environment. Gloves are the most common type of personal protective equipment (PPE). 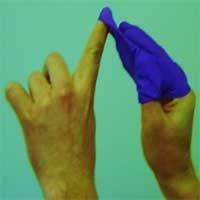 Gloves are considered a barrier protecting both you and your patient from the transfer of harmful microorganisms. Always use gloves when you work on a patient. Gloves are absolutely essential when you have an existing cut or small wound on your own hand and when you are touching any bodily fluids, secretions and/or excretions. Keep on pulling until it slips off your hand. 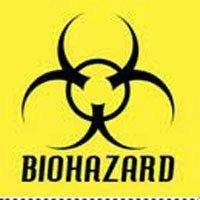 Throw your gloves away in a biohazard bag or bin. Use non-latex gloves if you or your patient is allergic to latex (take a proper medical history – see Project 0 in the Apprentice Doctor Course)! Always use a pair of sterile gloves for all surgical procedures or where contamination with bodily fluids (e.g. blood), secretions (e.g. saliva) or excretions (e.g. urine) is anticipated. Use clean gloves when examining a patient or performing nursing tasks like changing dressings. Use gloves once only – never re-use gloves in a hospital setting. Wash your hands properly (Project 00A in the Apprentice Doctor course) before putting on gloves and after removing gloves. Always remove contaminated gloves using the above method. Always discard contaminated gloves in a dedicated refuse bin intended for contaminated medical waste (never place contaminated gloves in the regular waste bin). I’m looking for an oral surgeon going through his or her apprenticeship. I would love & need teeth so badly that I am Praying so hard for someone to put Permanent top and bottom teeth in my mouth. My son told me there is a new technology where they can cement teeth in your mouth that never come Out?. Good & Wonderful things come your way. Asked me what’s on your Bucket list Jenn~Jenn? Apologies – this is a career guidance website – we trust that you will find a service provider for the dental services that you desire.